If landscape photography is something you’d like to hone your skills on, then you’ll need more than just your camera and the lens that came with it. Capturing spectacular landscapes may look like a no-brainer, but it takes more than just pointing your camera and pressing the shutter to do it right. But before you get into the how, you must first focus on the what. You need particular lenses and accessories to take better landscape images, some of which you won’t even know you need until you need them. Sandbags or tripod feet to hold your tripod down, for example, will come in more than handy in very windy situations while a remote shutter is useful when you need your camera to stay absolutely still or when you want to use yourself as the human element in your photos. A headlamp, on the other hand, is necessary if wilderness hiking or astrophotography is involved. However, for now, you won’t need those just yet. 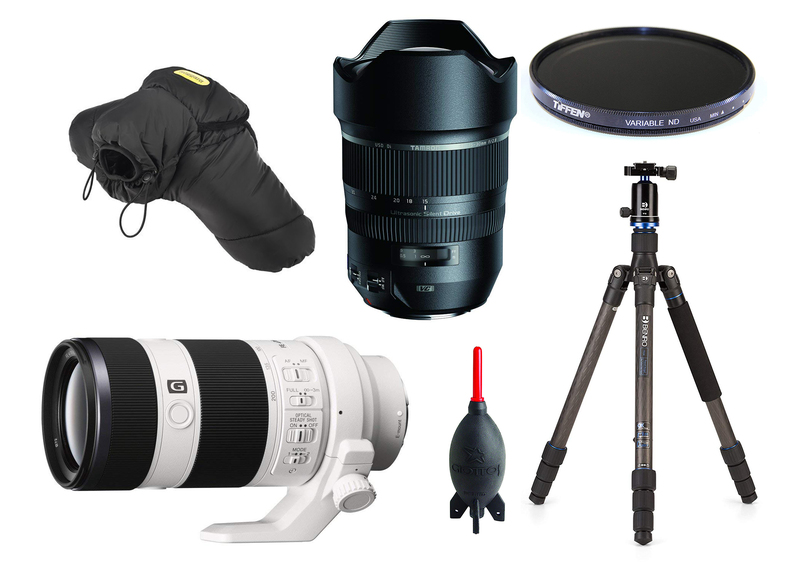 Since you’ll be starting off with the basics in landscape photography, we’ll also start you off with the gear essentials. Swap out your standard lens for a good wide-angle one that produces superb image quality and minimizes distortion. A standard zoom lens may be fitting all-around, but a wide-angle is the most ideal for landscape photography. Not only will you be able to fit more in your frame, but it will also exaggerate the elements in your photo a little to give them a touch of drama and grandness. Many experienced photographers have both wide-angle and ultra wide-angle lenses in their camera bags. 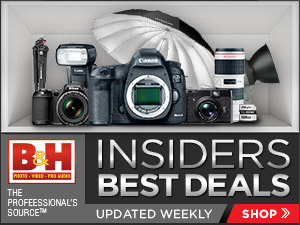 However, for a starter kit, a 16-35mm with a big enough aperture—like the Canon EF 16-35mm F/4L IS USM ($1000) or the Sony 16-35mm Vario-Tessar T FE F/4 ZA ($1,248)—is an excellent investment and will more than do the job. Besides, you’ll still need to practice, learn about how exactly wide angle lenses work, and understand how to properly use them before you go wider. 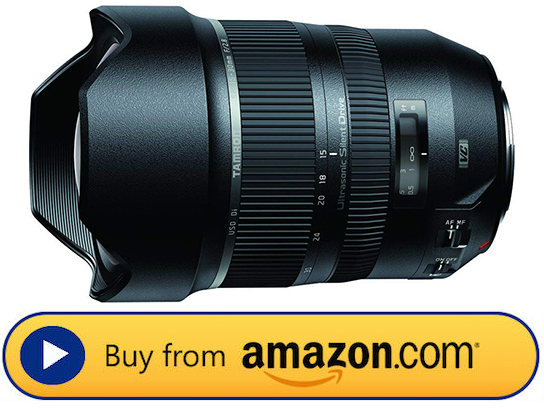 For something a little more affordable, the Tamron SP 15-30mm f/2.8 Di VC USD is only $900 (so you can use that extra $100 – $350 for other things) and available for Canon, Nikon, and Sony full-frame mounts. It may not be standard practice, but a telephoto lens will definitely come in handy sometimes for landscape photography. It will let you, for example, isolate a part of the scene your shooting that’s particularly interesting. That could be a waterfall in the forest, a lone tree in the middle of a lake, or a craggy formation atop a mountain overlook. You can also use it to shoot some wildlife you might encounter while you’re out in the great outdoors. 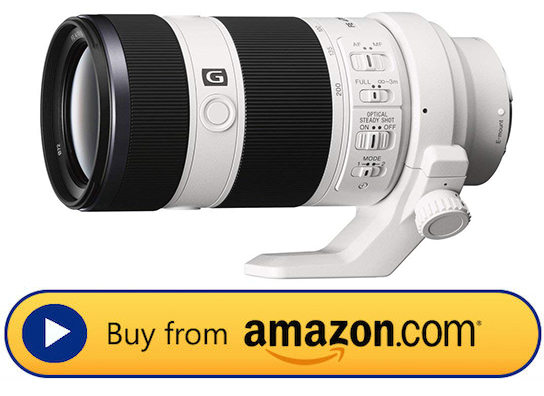 The Tamron SP 70-200mm F/2.8 Di VC USD G2 ($1,200) is a superb and affordable option for Nikon and Canon users, while the Sony FE 70-200 mm F4 G OSS ($1,400) is a good one for Sony E-mount users. Tripods are crucial to shooting excellent landscape photos. Yes, if you’re shooting in the daytime, you’re probably working with a lot of light, allowing for handheld shots. However, when dealing with nature, you’ll highly likely find yourself in situations where a secure mount is necessary to stabilize your camera. Otherwise, you’ll end up with some pretty shaky or blurry shots. Plus, you’ll want to shoot sunsets and sunrises, as well as bracketed shots for HDR images. If you’re serious about taking your landscape photography to the next level, invest in a good tripod, something that’s sturdy and can take a heavy load but also lightweight and compact when folded so it isn’t a burden to carry. 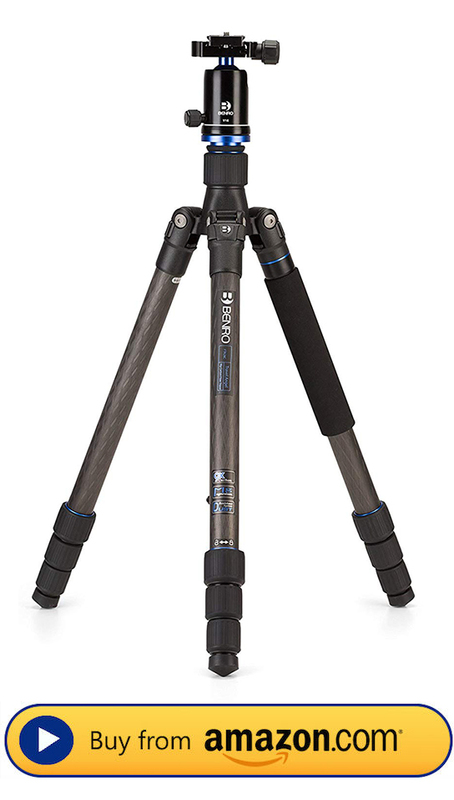 Click here to see our five favorite tripods for landscape photography. ND filters, or neutral-density filters, are nifty little accessories that can do a lot for your landscape photography. They reduce the light passing through your lens, allowing you to open the aperture wide and/or slow down your shutter speed even in the brightest conditions so you can avoid overexposure, add silky water and motion blur effects, and achieve shallower depth of field. And they also make everything the colors look deeply vibrant. 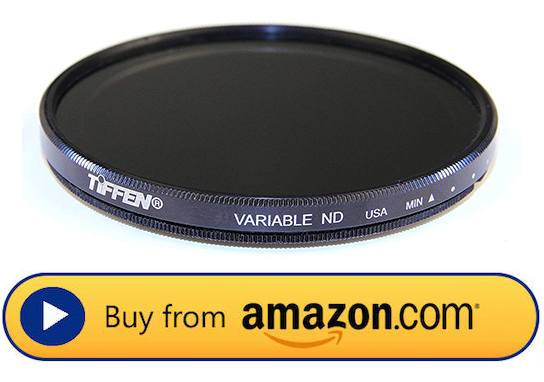 For a bit of a splurge, the Tiffen Variable ND Filter ($80) allows you to go up to 8 stops down. If you’re on the budget, ZoMei 77mm Ultra Slim ND2-ND400 Fader Variable ND Filter ($28) is a decent start. If you do plan on using ND filters, as you should, make sure you have a trusty tripod in your pack. While sandbags are only really necessary during strong and high-speed winds, a cold and rain protector can be of use even when it’s not cold or raining. This handy protector that acts like a waterproof parka for your camera without obstructing its operability also comes in handy when you’re shooting close enough to water that splashes are guaranteed. However, it is especially necessary when you’re shooting in the cold and/or snow or when it’s raining hard, even if your camera and lenses have built-in weather sealing. Think about it: would you rather risk gear that cost you a few thousand dollars or invest in an accessory that will set you back less than $100 instead? 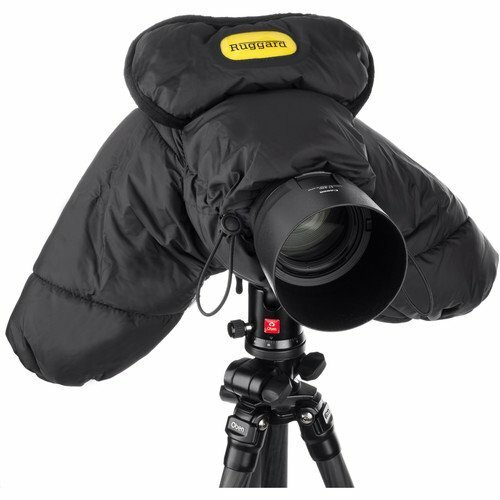 It might be a tad expensive, but the Ruggard DSLR Parka Cold and Rain Protector for $80 is a tried and tested one. If cheap is what you’re going for, the Safrotto DSLR/SLR Cold Proof Protector for $40 is a good alternative. Even if you’re not shooting landscapes, this one is a no-brainer. Heck, even if you don’t plan on taking your camera outdoors, a dust blower comes in handy. Remember, when it comes to glass, it’s always better to blow on it rather than rub it. And this accessory will hardly burn a hole in your pocket. The Altura Photo Professional Cleaning Kit, which includes a dust blower as well as cleaning brushes and lens tissue paper, is only $9. Or you can blow your dough on a Giottos AA1900 Rocket Air Blaster for $14.